The Department of Integrative Biology proposes the creation of the Lynn Medal in Zoology, a convocation prize to be awarded annually to the graduating student with the highest average in the Zoology major. The intent of the award is to honour Dr. Lynn’s dedication to undergraduate education, particularly in the area of invertebrate zoology. The Department’s goal is to endow this award to cement Dr. Lynn’s legacy at the University of Guelph. Please consider a gift to the Lynn Medal in Zoology to honour Dr. Lynn’s legacy and to help the Department to achieve its endowment goal. Gifts of all sizes are appreciated and will be acknowledged to the Lynn Family unless you make your gift anonymously. If you need assistance in making your gift, please contact Taline Artinian at artinian@uoguelph.ca or 519-824-4120 ext. 54568. If you are a U of G retiree interested in supporting this award or a U of G staff or faculty member interested in making a gift through payroll deductions, please contact Maureen Brooker at brookerm@uoguelph.ca or 519-824-4120 ext. 56695. The College of Biological Science extends its sincere sympathies to the family, friends, colleagues and students of Dr. Denis Lynn, College Professor Emeritus, who passed away unexpectedly on Tuesday, June 26 on Calvert Island, British Columbia. Upon learning of his untimely passing, Dr. Lynn’s current and former colleagues at the University of Guelph expressed admiration and gratitude for his leadership, collegiality, sincerity and his passion for teaching and learning science. “Denis was a great hero of mine. As a person, he was so gentle and so kind. As a teacher, he was completely dedicated to advancing his students. His thoughtful lectures were challenging to everyone involved, himself included. Post lecture, he often meditated on, not at, his desk to regain inner calm. My graduate students loved their interactions with him; he asked them to place their work within the context of their discipline and the scientific enterprise. As a researcher, his knowledge of ciliates was unrivalled. When I was obsessed with the evolution of breeding systems and genome sizes, Denis provided fascinating perspectives from his strange world – the one dominated by protists. Denis never lost his fire for science. Two weeks ago, while speaking with Vera Tai, a young faculty member at Western, I asked if she and Denis had overlapped at UBC. She responded with a big smile, noting that he was regularly at the bench in the lab where she worked, so unlike most senior academics. Her comment captures the essence of the man – an academic who never grew old, who never lost his passion for science. Ave atque vale Denis.” Paul Hebert, director of the Centre for Biodiversity Genomics. “Denis was a wonderful colleague. He gave selflessly to so many. He went out of his way to be a mentor to the broader university community. This ran the gamut of undergraduate students through to support staff, faculty and administrators. He had a particular passion for working with graduate students and, in this regard, his efforts were rewarded through the development of exceptional scientists, but even more by nurturing the development of truly well-rounded individuals. In terms of his traits, his sincerity might be top of the list, but his being respectful of others is certainly a close second.” Glen Van Der Kraak, Associate Dean, Research, College of Biological Science. “Denis was the most non-judgmental, honest and kind person of integrity that many of us have met - both personally and professionally. I consider it a privilege to have worked with him since 1997, and our collaborations have continued until this day. The same is felt by all his graduate students and colleagues and we are heartbroken at his loss. He and his wife Portia had an amazing relationship and shared many passions: research, ciliates, music, arts, travel, companionship, family - just to name some. He also loved to laugh and spend his time in company with friends. We had many gatherings at Denis and Portia's home - filled with fun, good food and inspiring discussions. He was a true scholar and mentor - inspiring, inquiring and open-minded. 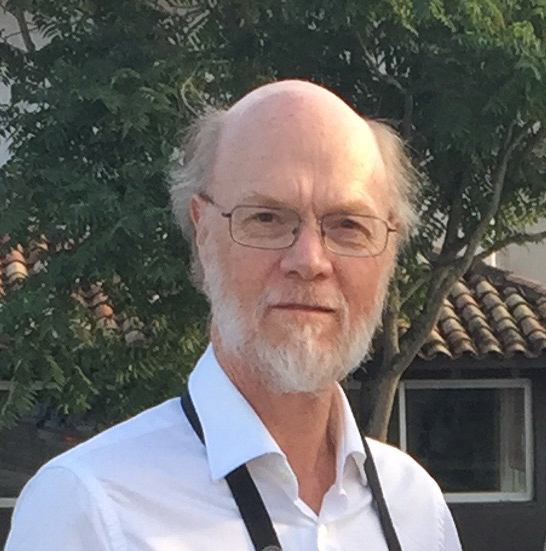 Denis contributed significantly to the field of ciliate systematics and phylogeny and was a well-respected and loved member of the protist research community. He was actively involved in research until the end, still full of plans for future projects. He will be greatly missed.” Dr. Michaela Strueder-Kypke, Department of Molecular and Cellular Biology, College of Biological Science. Dr. Denis Lynn began his career majoring in Marine Biology at the University of Guelph. After completing doctoral research at the University of Toronto, and a postdoctoral research fellowship at St. Andrew’s University, Scotland, Dr. Lynn returned to the U of G where he became a faculty member in the Department of Zoology in 1977. Dr. Lynn’s research and scientific contributions made him the leading authority on ciliates, his “favourite wee beasties”. In January 2011, Dr. Lynn became an adjunct professor in the Department of Zoology at the University of British Columbia. Dr. Lynn was Editor-in-Chief of the Journal of Eukaryotic Microbiology (1998-2012), and president (1993-1994) and treasurer (2012-2018) of the International Society of Protistologists.